New facility in Berlin to monitor and optimize energy yield, profitability of PV power plants. First Solar, Inc. (Nasdaq: FSLR) and its subsidiary, skytron® energy GmbH, today announced the opening of a new Operations Center in Berlin. First Solar’s third facility of its kind in the world, the Center will be managed and operated by skytron energy. 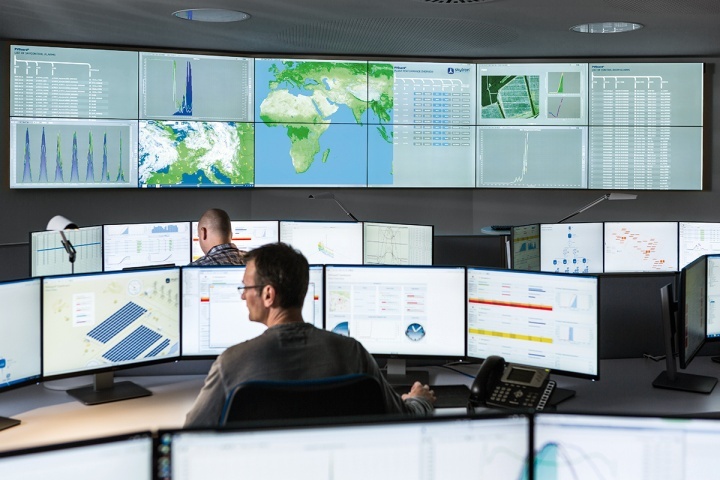 The Operations Center will provide industry-leading remote monitoring, real-time supervision and plant control capabilities for photovoltaic (PV) energy assets located across the Europe, Middle East and Africa (EMEA) region. It is manned by a specially trained team that will supervise the ongoing operation of power plants under management; tracking performance, detecting and diagnosing issues, and scheduling and advising on-site activities. The facility is also capable of energy forecasting and ensuring that power plants under management conform to grid requirements. First Solar also currently has two Operations Centers located in Tempe, Arizona and Sydney, Australia. First Solar is currently the largest utility-scale solar O&M provider in the world, managing a portfolio of over 4,000 megawatts (MW) of PV plants, each ranging from 2MWAC to 550MWAC in capacity. First Solar O&M has recorded an average fleet availability of greater than 99 percent in each of the last five years, compared to an industry average of 98 percent. The Operations Center will be managed and staffed by skytron energy, which was acquired by First Solar in 2014. Founded in 1977, skytron energy provides utility-scale PV monitoring, control and supervision systems to solar power plants. It supports more than 6,000MW of utility scale assets globally, through its advanced monitoring and Supervisory Control and Data Acquisition (SCADA) solutions. skytron energy also supplies O&M services for First Solar in Europe. First Solar is a leading global provider of comprehensive photovoltaic (PV) solar systems which use its advanced thin-film modules. The company’s integrated power plant solutions deliver an economically attractive alternative to fossil-fuel electricity generation today. From raw material sourcing through end-of-life module recycling, First Solar’s renewable energy systems protect and enhance the environment. For more information about First Solar, please visit www.firstsolar.com. 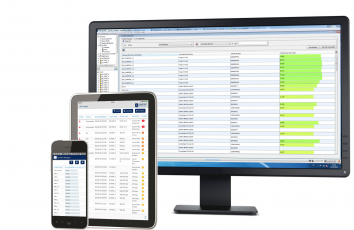 Apart from fixes, version 2.6 of PVGuard also brings a number of improvements to the application: Fleet Manager with aggregated values, Expected Power / Expected Yield, alarm functions now include seasonality. 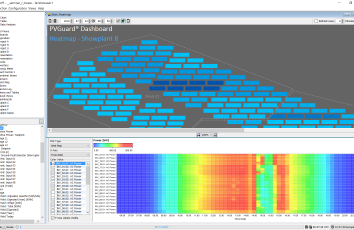 Apart from fixes, version 2.5 of PVGuard also brings a number of improvements to the application: Heat Map Chart, Data-Dependent Color-Coded Widgets and Picture-Coded Widgets.